TaxDebtLeads.net is the only lead exchange that is solely focused on bringing together buyers and sellers of tax relief leads. 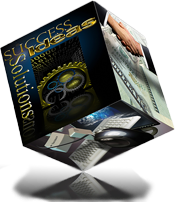 Our focus is to generate quality leads through proven methods. We strive to uphold the the reputation of our buyers and sellers by pre-screening and continually monitoring both sellers and buyers. Our sellers must meet certain publication and marketing guidelines and our buyers must meet certain company standards in order to buy. Our screening process ensures that buyers and sellers will maintain or improve their integrity among the tax community. When filling out our contact form, please be sure to check which lead classes you are specifically interested in. Do you offer tax relief services? Give us a try. We strive to build long lasting, win-win relationships with all of our buyers. Do you want to sell tax relief leads? If you have valuable traffic coming to your websites, we want to work with you.